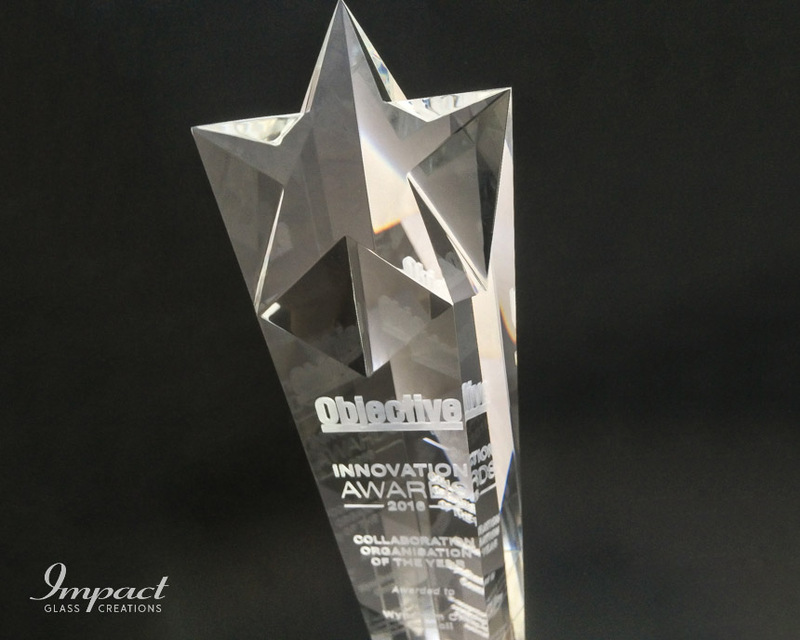 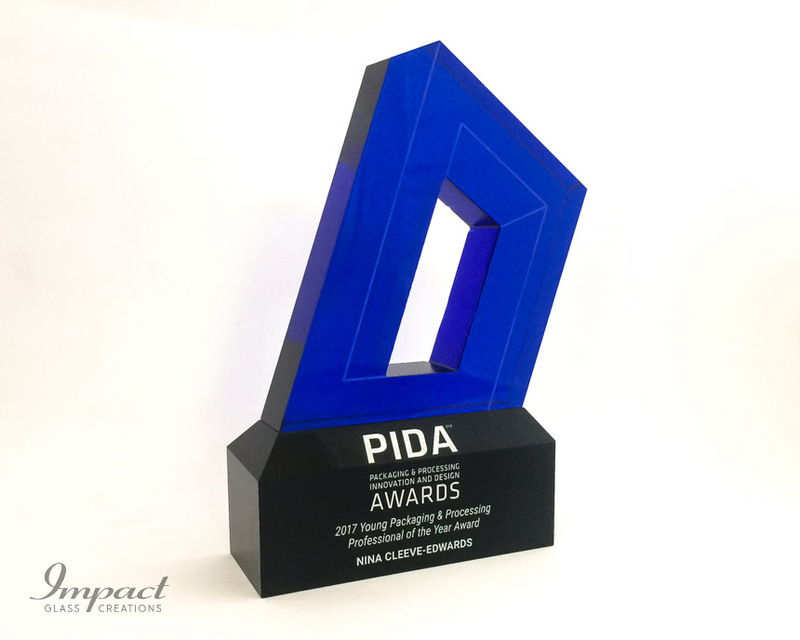 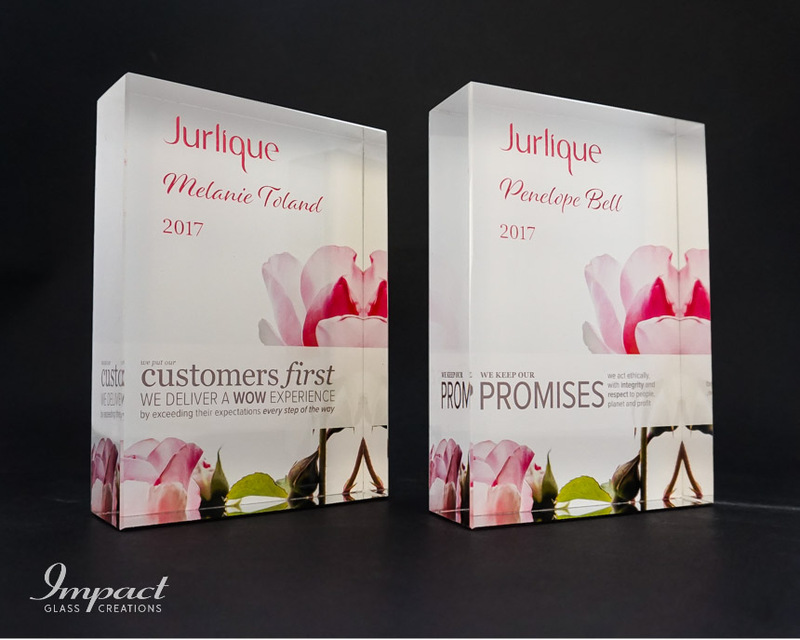 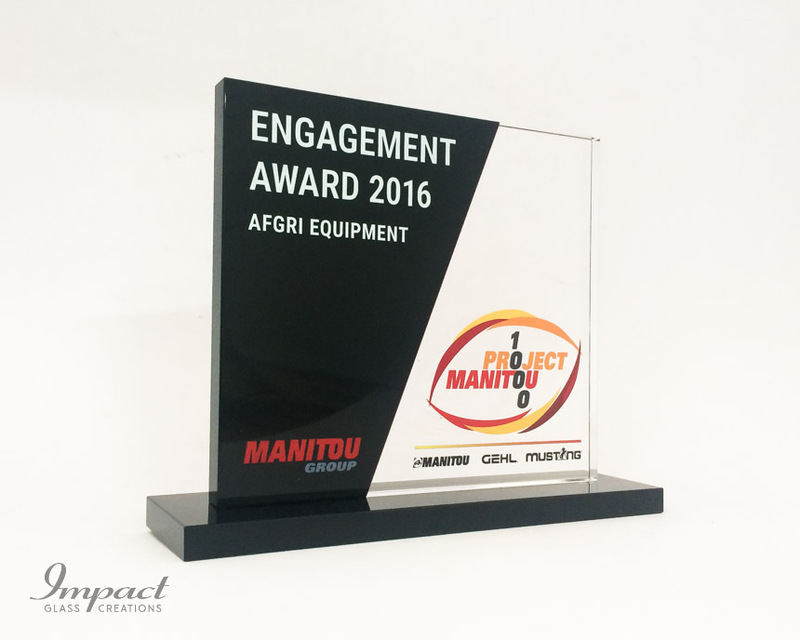 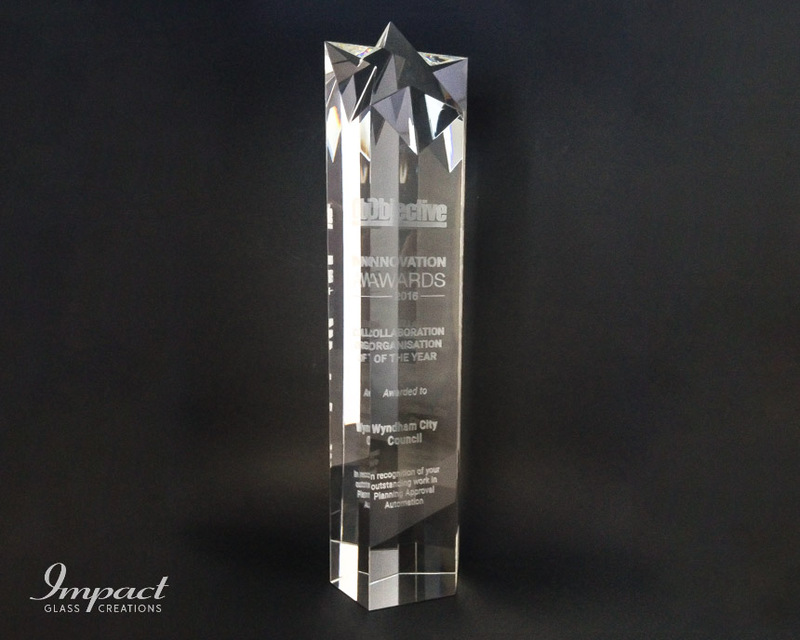 This 35cm solid crystal award was designed and created to reward the absolute top performers in the company. 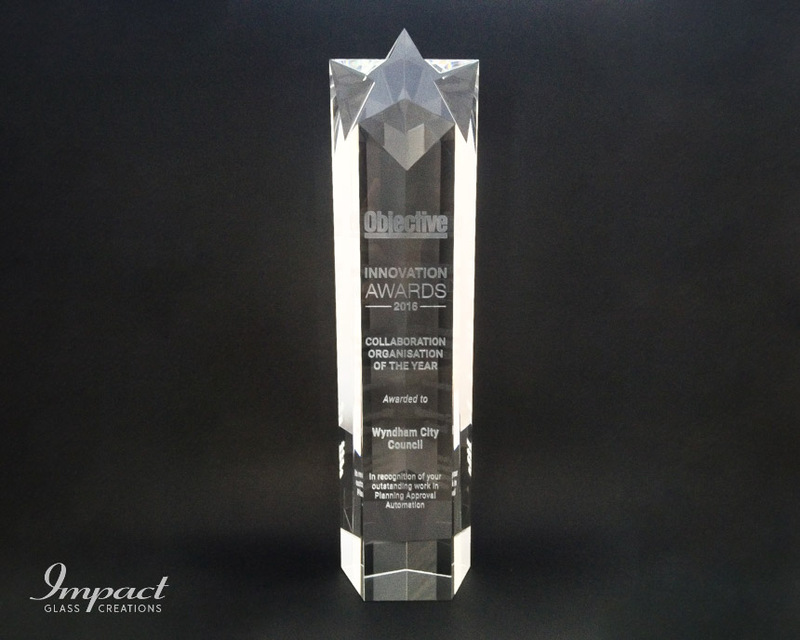 The carefully created star effect on the top of the tower creates a striking focal point to the award. 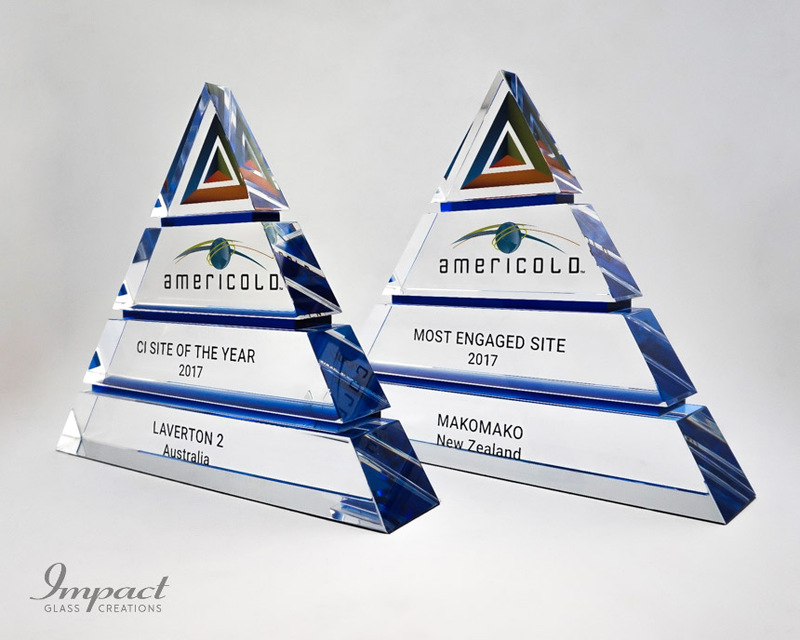 The logo and text have been created as 2D images within the crystal.